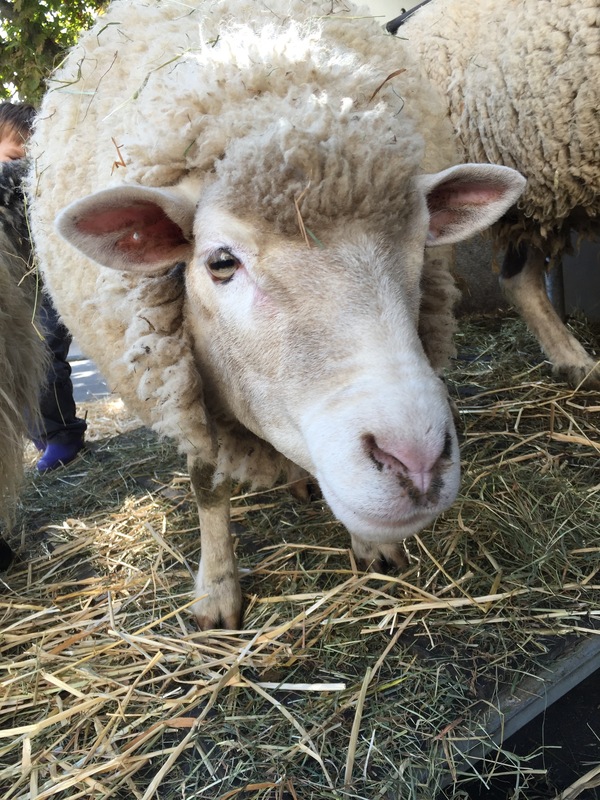 [caption id="attachment_216" align="aligncenter" width="300"] A Sheep in Zug, during the Swiss Wulle Festival[/caption] The other day I was winding 3 skeins of Juno Fibre Arts Milly Sleek Singles I have bought in Brighton in 2014. They are 70% super wash Merino and 30% silk. I am going to knit a Color Affection during our upcoming holidays. Unfortunately Juno Fibre Arts is not in business anymore: the colours were fantastic and very elegant. I would probably have bought them even now, as the colours are so rich and deep. But as I was winding it I was pondering if, as today, end of March 2016, I wouldn't have chosen something different. Actually I was asking myself: why on earth have a bought singles? Why on earth have I bought super wash merino and silk??? Nightmares of tangled yarn persecute me... I have bad memories of a wonderful merino and silk getting super mega messy while knitting it... Actually just looking at it! I began to ponder about my changing tastes, especially back from Edinburgh Yarn Festival. I have problems looking at more speckles yarns. Cool, interesting, fun, but after a while they are overmuch: there is too much going on in the colour department to take notice of the fibre. I also join my friend Enrico in the battle against super wash fibres. I understand they are simpler to dye, you can wash the final knit in the washing machine, but I would rather knit a very rustic wool than a covered plastic fibre. They are too sleek... And have you noticed the smell? It is not sheep smell... As my friend Alice says on our Italian blog, what I would love to see is more real wool, from different sheep breeds. And in Edinburgh I have seen new producers popping up, beside the speckles and the super wash. Breeders and shepherds ready to invest their lives saving rare sheep breeds that produce wonderful wool. As Clara Parkes says since ages, the future is primarily (and hopefully) in breeds. And all the different possibilities that different wool can bring. I want to live this future!